Please be advised, these new rule changes and interpretations have been made in-line with the changes the AFL introduced in October. Information regarding the rule changes has been sent to all EFL clubs as well as our umpiring group. 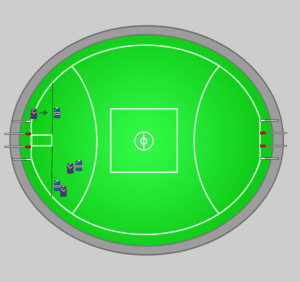 – Implementation of a traditional set up at centre bounces – teams must have six (6) players inside both areas from the back of the centre square to the goal line. 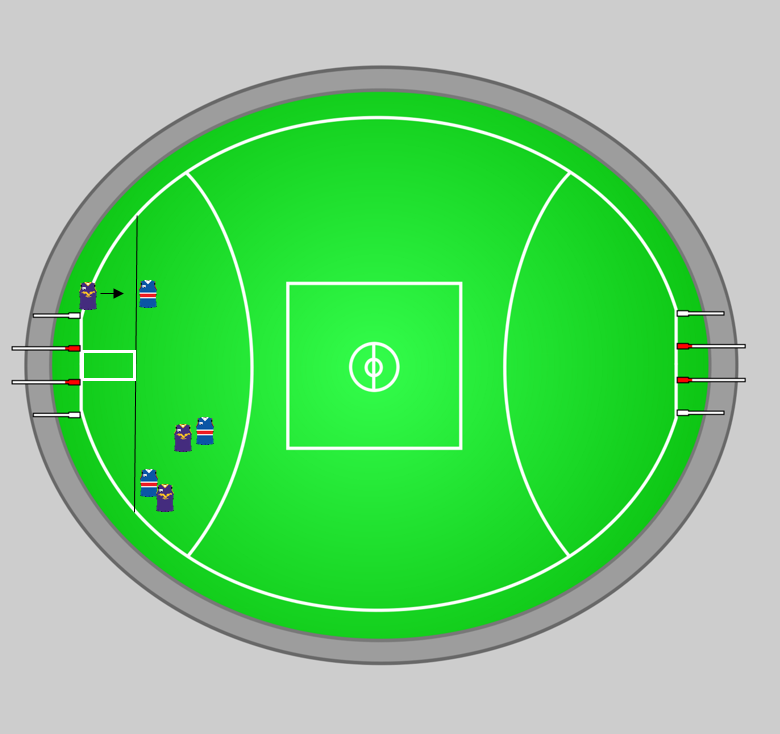 – Four (4) midfield players are positioned inside the centre square with the players on the wing required to be placed somewhere along the wing (outside the centre square). 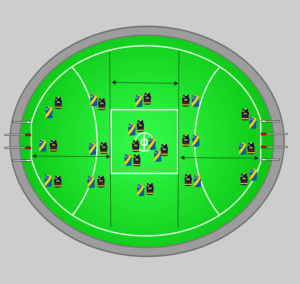 – If a team is found to have a player/s out of position, the umpire will award a 25-metre penalty against the infringing team from the centre circle and the free kick will be taken by the Ruckperson. – For kick-Ins from a behind, a player will no longer need to kick to himself to play on out of the goal square. – Following a behind, the man on the mark will be positioned ten (10) metres from the top of the goal square. 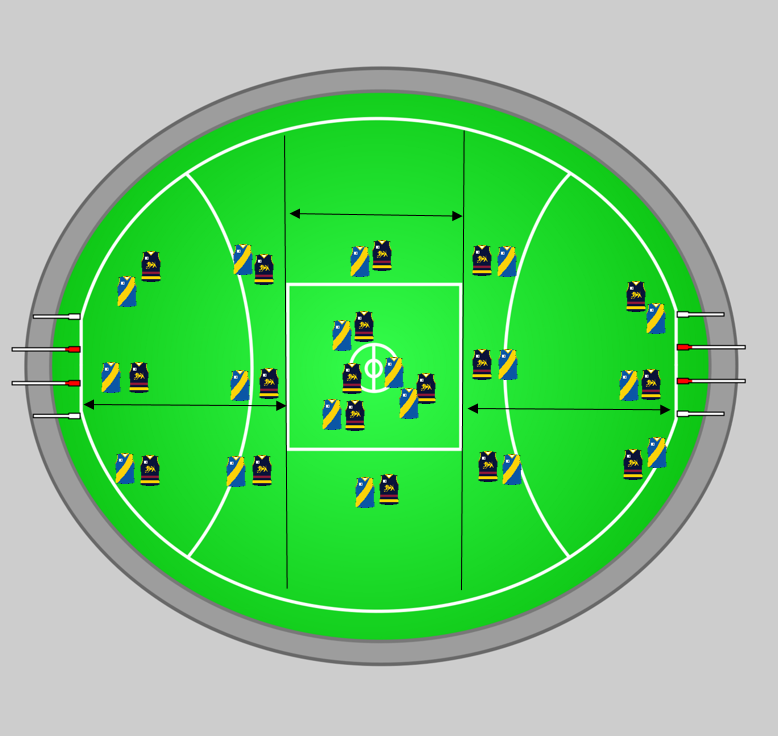 The umpire will position themselves five (5) metres from the man on the mark. 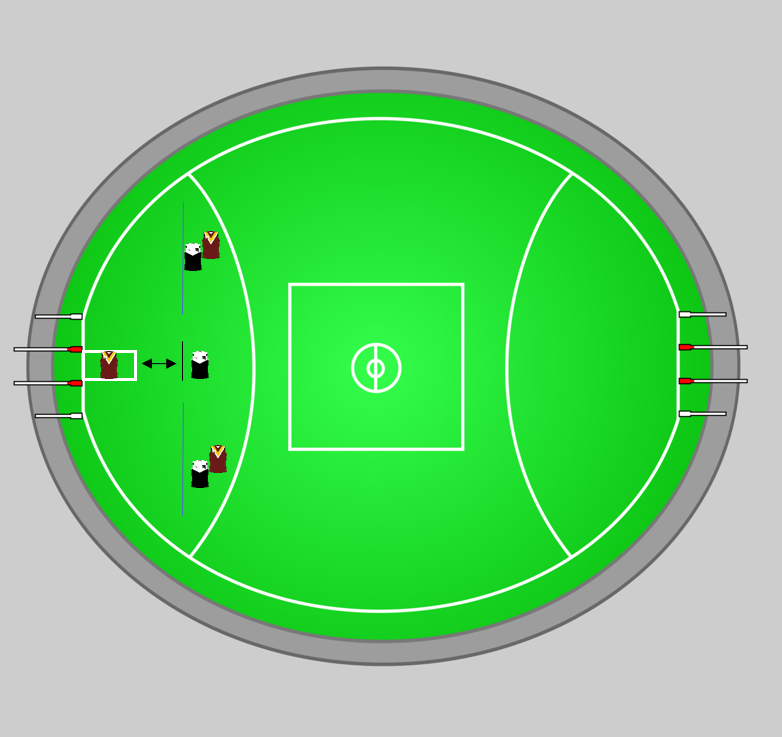 Once the player leaves the goal square, the umpire must call play on. – All players other than the man on the mark & the player bringing the ball back into play must not be in the area from the man on the mark back to the goal line. – For all defenders who take a mark or gain a free kick within nine (9) metres of their own goal, the player on the mark for the attacking team will be brought in line with the top of the goal square. – All players other than the man on the mark & the player bringing the ball back into play must not be in the area and must be inline or behind the man on the mark. 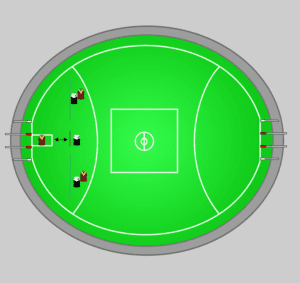 – Players will be prohibited from setting up behind the umpire at each centre bounce. – Stricter on the infringing player, allowing the player with the ball to advance the mark by 25 metres without the infringing player delaying the game. – In addition, the player with the football will be able to play on during the advancement of the 25-Metre Penalty. – A Ruckperson who takes possession of the football while contesting a ball up by a field umpire or a boundary throw in by a boundary umpire, will not be regarded as having had prior opportunity. 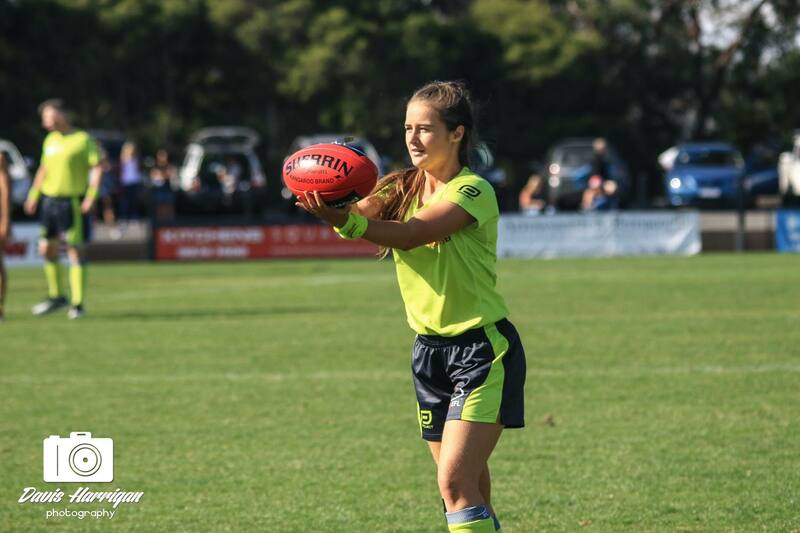 – Where there is uncertainty over who is the designated Ruck, the Ruck for each team will continue to nominate to the field umpire.